BCRF sat down with Dr. Mary-Claire King to discuss her current work and interest in breast cancer research. Read on to learn more. Q: Tell us a little about yourself and how you became interested in breast cancer research. A: As a girl, I enjoyed math and majored in math as an undergraduate at Carleton College in Minnesota. In 1966, I went to Berkeley as a graduate student, took one genetics course and promptly fell in love with this way of thinking. I finished my PhD in Berkeley in 1972, studying a problem of human molecular evolution. As soon as I filed my dissertation, I went to Santiago, Chile to teach on a University of California-Univ de Chile exchange program. I returned to Berkeley sooner and more abruptly than I'd anticipated, shortly after the Chilean coup of Sept 11, 1973. I was jobless, frightened for my students (with reason), and thoroughly discouraged. I considered dropping out of science. Dr Nick Petrakis at UCSF suggested I come work with him until I got my feet on the ground. He said he had a problem so important and so complex it would absorb all my attention. The problem was: why are some families so severely affected with breast cancer? I began working on the problem on Jan 1, 1974 and have never looked back. Q: Briefly describe your research project. A: To determine the genes responsible for inherited predisposition to breast and ovarian cancer, and to identify the non-genetic factors that modify the effects of those genes. Q: What are your primary goals for this research? A. Find and characterize all the genes responsible for inherited predisposition to breast cancer and determine the consequences for women who carry mutant forms of these genes. Q. Who do you think will benefit from your research? A. At present, the primary beneficiaries are women in families with inherited mutations in BRCA1 and BRCA2. These women can now learn if they carry a cancer-predisposing BRCA1 or BRCA2 mutation or if, by the luck of genetics, they do not carry the cancer-predisposing mutation in their family. Young women who carry such mutations but have not yet been diagnosed with breast or ovarian cancer can undertake interventions that reduce their cancer risk dramatically. These interventions are surgical and invasive but are life saving. Q. How close do you think we are to preventing or finding a cure for breast cancer? A. I believe there will be many preventions and many cures. Breast cancer is highly variable genetically and different breast cancers will be prevented and cured by different means. Breast cancers in women with BRCA1 or BRCA2 mutations are prevented by invasive, but successful, surgical intervention. Preventing both these and other breast cancers may eventually be medically tractable. Q. How has The Breast Cancer Research Foundation been helpful to you? 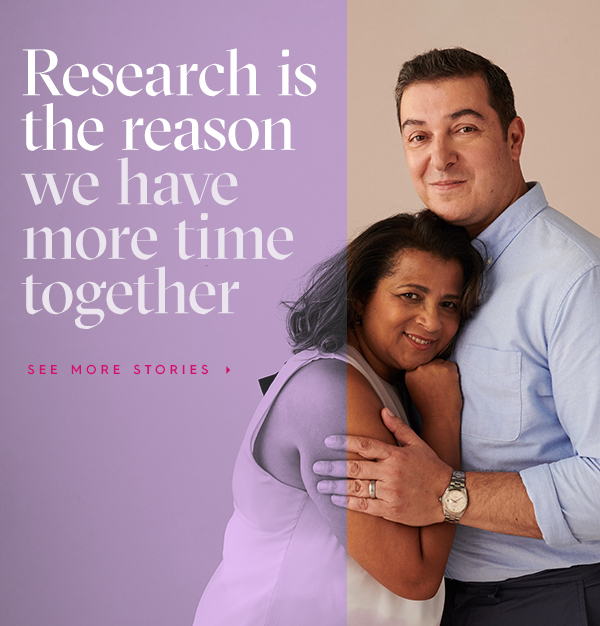 A. BCRF support enabled Joan Marks and me to undertake The New York Breast Cancer Study, which has provided the definitive determination of risks associated with inherited mutations in BRCA1 and BRCA2. The NYBCS was carried out entirely among women of Ashkenazi Jewish ancestry, but the results are applicable to women of all ancestries. The BCRF now supports the effort of the New York Breast Study to identify genes responsible for inherited predisposition to breast cancer in severely affected Ashkenazi Jewish families who have no mutations of any kind in BRCA1 or BRCA2 or any other known breast cancer gene. As previously, we anticipate that results first obtained for Jewish families will be generalizable to women of all ancestries. Absent the BCRF, The New York Breast Cancer Study could not have been undertaken. My research would be far narrower and less meaningful in consequence. I am eternally grateful to BCRF and I am not alone in this gratitude. Read more about Dr. King's current research project funded by BCRF.